High Wire Distilling Co Revival Straight Bourbon Whiskey. A 100% corn bourbon took the Overall Winner award at this year’s Made in the South Awards presented by Garden & Gun. High Wire Distilling Co.’s New Southern Revival Straight Bourbon Whiskey beat out not just those in the drinks category, but in five other categories as well. Across food, outdoors, crafts, home, and style, this South Carolina bourbon took home the high honors. 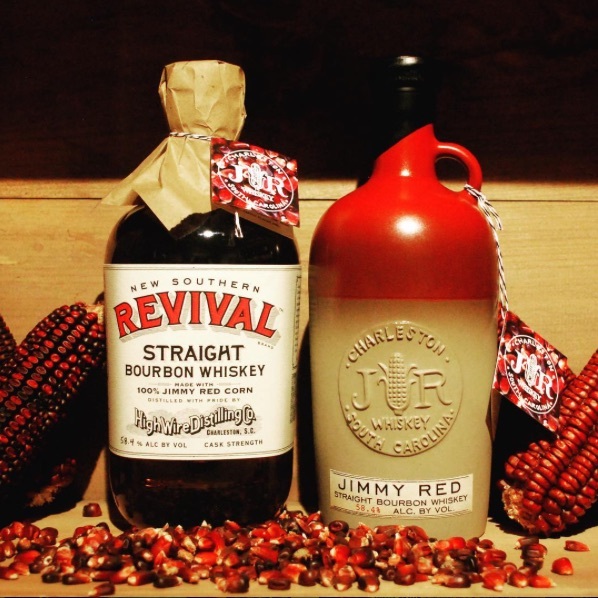 High Wire Distilling Co., which is located in Charleston, SC, uses only corn in their mashbill, but credits the full flavor to Jimmy Red, the heritage grain variety they’ve been carefully cultivating since 2014. After hearing that early bootleggers from the coast used Jimmy Red in their moonshine, owners Scott Blackwell and Ann Marshall decided to try it for themselves. The corn didn’t come easy—they had to partner with Clemson University Coastal Research and Education center to plant their first few acres. It doesn’t come cheap either, and costs roughly ten times what yellow corn does to grow. The first crop of deep ruby kernels was mashed, distilled, aged two years, and released at barrel proof in 2016. All 750 bottles sold in 10 minutes. Blackwell and Marshall attribute their success to letting South Carolinian agricultural traditions shine through in their spirits. In addition to their Jimmy Red Corn bourbon, they bottle a sorghum whiskey and an heirloom watermelon brandy. 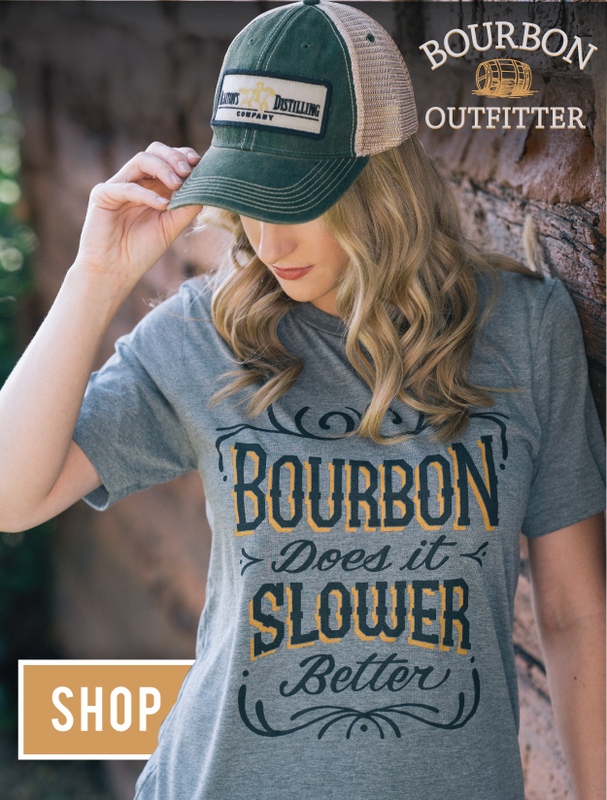 Their award-winning bourbon comes in two 750 ml packaging options: a traditional glass bottle for $80, and, charmingly, a $110 Le Crueset Stoneware Bottle. They weren’t the only whiskey to take home a trophy this year. First runner up in the drinks category was James E. Pepper 1776 Rye Whiskey. Owner Amir Peay and Master Distiller Aaron Schorsch model their rye after the original recipe from the distillery’s early days in 1780. While this batch is contract distilled, the distillery barreled their first rye earlier this year after being closed for over six decades. Other winners in the drinks category included Blackberry Farm Brewery Imperial Stout from Tennessee and Castle Hill Cider from Virginia. Click here to see more from this year’s best as picked by Garden & Gun.